We are looking for sales professionals. Experience preferred but not necessary, will train the right person. Full-time, competitive wages with benefits available. 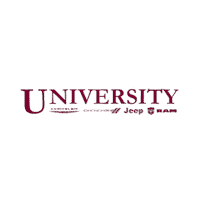 Email Mike at mikeuvanni@myfriendlyauto.com or Greg at ggatto@universitycjdr.com. Stop in or call the dealership at 315-824-1000. We are University and we will become GOOD friends!